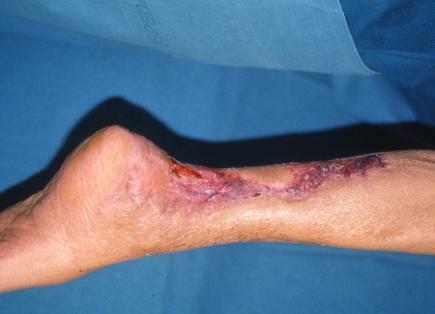 The devastating effects of a diabetic wound, this ulceration would not heal,and this patient was facing amputation, a devastating prognosis. After effects of bio oxidation free radical therapy. This is due to the mirgration of Adult stem cells to the wound bed, based on a Chemotaxis effect. Learn more, under the section mechanism of action.